Charles S. and Elizabeth C. Gardner and Dr. & Mrs. Harvey C. Bridgers. the total to 85.1724 acres. 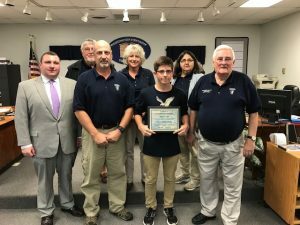 Washington Township would like to thank Lynn Nacsa and her family for designating donations to the Happel’s Meadow Wetlands in memory of her mother, Betty Jean (Keckler) Nacsa. 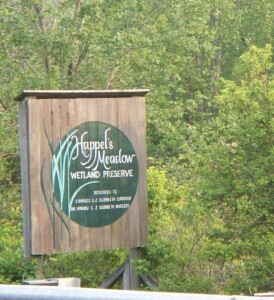 Happel’s meadow is a 78-acre unique upland wetlands that is being preserved in perpetuity by Washington Township. Donations will be utilized for the preservation of the meadow. 13013 Welty Road, Waynesboro, PA 17268. 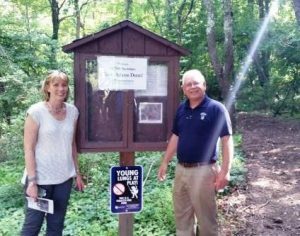 Washington Township has purchased six acres of land which runs along the south side of Happel’s Meadow Wetlands Preserve. This will help to purify the Chesapeake Bay and will make a beautiful addition to our community. The state has granted us half of the $300,000 purchase price and we are asking Township residents to donate to this cause. Washington Township needs to raise the other $150,000 to be able to complete this purchase. To date, we have received donations totaling $39,618.00. Any donations should be made payable to Washington Township Supervisors and mailed or delivered to our Township Office at the above address. Any questions, please feel free to stop by our office or call during regular business hours. 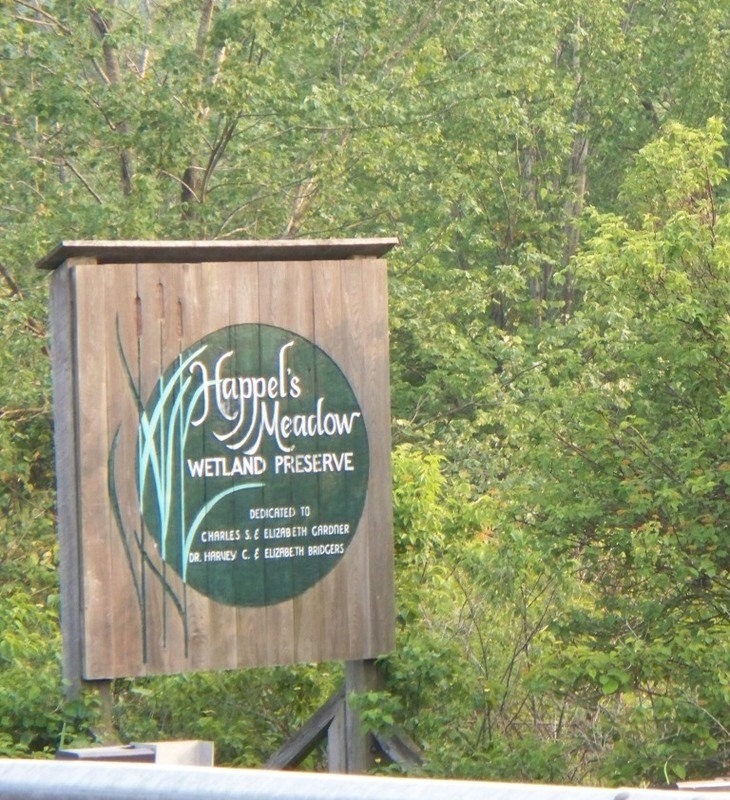 Click this link to read the Happel’s Meadow Wetland Management Plan. Changes wrought in the past century are nowhere more evident than up on the South Mountain Plateau around Blue Ridge Summit. Where recently truckloads of fill and rubble smoldering across from A.L. Happel Memorial Ball Park, sixty years ago truckloads of vegetables and freshly dressed chickens daily left the fertile farmland of Happel’s Meadow to provide 90% of the produce for the Resort Era’s hotels and inns. 2,500 VISIT PEN MAR PARK ON EXCURSION TRAINS from Washington, D.C., Baltimore and other points on the line of road. Pen Mar High Rock was the great center of attraction. Pen Mar Hotel, a “natural sanatorium” was completed. The Blue Mountain House, built in seventy-six working days at a cost of $250,000 was completed. BOOM HITS THE SUMMIT. A building boom has hit the Blue Ridge Summit area. The whole slope between the Summit and Highfield is just specked with new buildings. Quite a village has sprung up in the last few months. Thousands jammed Pen Mar in the July Fourth Celebration. By 1913 the resort community of Blue Ridge Summit, Pen Mar, Buena Vista, Monterey, Highfield and Germantown (now Cascade) had over one hundred boarding houses and private summer cottages plus seven hotels. The names are legendary on the mountain and in the valley, and a pleasant wave of nostalgia sweeps over people who recall the good old days: Dunbrack Inn, Claremont, Blue Mountain House (which was destroyed by fire that year), Buena Vista Hotel, Monterey Inn, the Imperial, Crout’s, Mount Vernon, are just a random sampling of the places popular then which bring back memories of courtships, summer vacations away from the hot city, and an era sadly gone forever. vistas, dancing in an open pavilion — all these depended upon the little thought of source of food. Tracey’s Corners was once a vast and fertile, well—irrigated vegetable farm. In 1937, the new Route 16 bisected Happel’s Meadow where bleached celery was a major crop, where sugar beets, carrots, cabbage, beans, tomatoes, spinach and cauliflower were grown. Sweet corn was a big crop; it wasn’t unusual to have an order for 500-dozen ears of corn for one weekend. 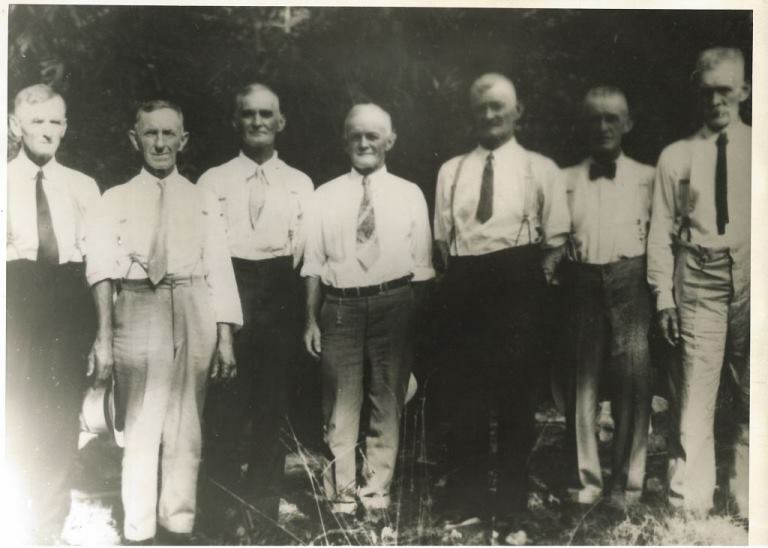 Two brothers of a family of eight boys formed a partnership in which John G. Happel managed the farming and Albert L. Happel ran the market. Before long they had a thriving business. Bear Swamp — a lake bed dating back to volcanic origin according to geologists — was cleared; brush was burned, and much like a peat bog, would continue burning through the heaviest rainfall. A drainage system, using seven carloads of terra cotta pipe laid every 300 feet, was installed throughout. The existing stream meandered through the meadow and a man-made pond was build near the present ball park. Each winter, when the ice was as much as eight inches thick, the Happel brothers harvested their own ice for use in the two refrigerator houses behind John’s farmhouse. In the same general location, West of Monterey Lane above Tracey’s Corners and North of the railroad tracks, were a 100 foot warehouse and a stable for about eight horses. There was also a slaughter house, where some weekends they had orders for 1,000 chickens to be dressed and delivered to the hotels. The late Charles Happel of Chambersburg, son of John, recalled vividly his active, hard-working younger days when he helped his father farm the eighty acres, and worked in the slaughter house. His recollections, recounted with a quiet, guileless humor in one anecdote after another, provided a wealth of detail worth sharing. “Thursdays were the big slaughtering day. Then we’d deliver the chickens to the hotels on Fridays for the weekend. One day we asked Uncle A.L. for a raise. We probably had the first strike in the Country! We were getting 3¢ a chicken for killing, cleaning and picking. We wanted 5¢. Well, one day a couple of the boys and I didn’t go to work; we went to Lake Royer to go swimming. Uncle A.L. found us and said, ‘Boys, you know this is our busiest day. Let’s get on back and get to work.’ ‘No, Sir, not for 3¢ a chicken.’ Not unless you pay us 5¢ a chicken.’ ‘Now boys, you know I can’t afford to pay that kind of price. Come on back and get to work.’ Well, we got our 5¢ a chicken, but we didn’t go back till we did.” Then it seems the boys were so behind in their order that they worked clear through till the wee hours of the morning getting ready for the early Friday deliveries. The celery crop was probably the most laborious task of all the gardening. Seed was sown early in the spring. The first of July plants were re—set in beds which were eight rows wide, 1,000 feet long, leaving about ten square inches for each plant. There was fairly good moisture because the water level was high in the meadow. In late September or early October boards framed each plant. Dirt was shoveled around the plants within the “box” for weeks, bleaching the celery in the process. Mr. Happel told of the Western Maryland Railway which owned so much land on the mountain, of the Monterey Realty Company which arranged for summer accommodations for so many, and of the variety of summer people who came back year after year for the refreshing mountain air and relaxed vacation atmosphere. During World War I there seemed to be even more visitors, as the feeling was that it was safer here than in the Washington area. There were prominent government officials, wealthy visitors from other countries, professional people, and, of course, the regular summer residents whose cottages would open up in late May and close in September. The farm prospered until 1921 when John and his family left to resettle outside of Chambersburg; he sold his share of the business to his brother. John died in 1946. When John went to the valley, Albert put the land into Timothy Hay which he sold to a wholesale feed business in Washington where the zoo was a regular customer. Albert ran the store until about 1936, seven days a week for the five month summer season. He journeyed to Baltimore twice a week to buy much of his vegetable produce and cantaloupes and fruits, which were delivered on the Blue Mountain Express along with hindquarters of beef and racks of lamb which were “Frenched” into chops for the hotel trade. He lived until 1962, a vigorous 91 year old man. The resort era survived the decline of the horse and buggy and the advent of the independent owner of the automobile when excursion trains weren’t practical to the railroads any more. The resort continued to attract summer visitors up until the late 1930’s. Little evidence remains, however, of this time – excepting a few fine old big homes which have been winterized and are year—round residences; many of these have been converted into apartments. One after another i)f the hotels burned to leave little trace of former splendor. 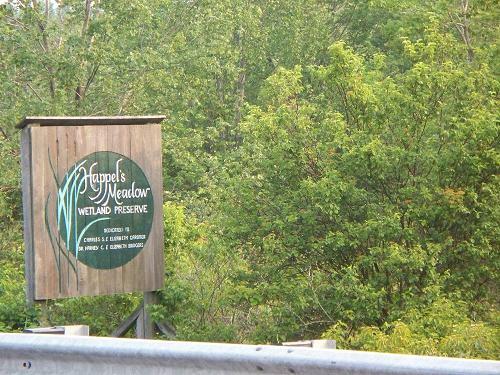 Happel’s Meadow is no longer a productive, fertile farmland where young boys would look for wild horseradish or elderberries, where rabbits and small game and deer were plentiful in the far end of the meadow near the golf course where for several decades two enterprising brothers provided food for thousands of summer people. The resort is no more. An era has ended. The memory lingers on. Photo #2 courtesy of Charles E. Happel, Chambersburg. that are used at the Happel's Meadow Park, for his Senior Project. Thank you Sam Moore for all of your hard work and going above and beyond what you were asked to do.